Now you can pay your Utilities Bill from the comfort of your home or office by using our online payment service. Credit cards accepted: MasterCard, Discover, American Express or Visa. A per transaction service fee of 2.50% or $1.50 minimum will be charged by the payment processing company for this service. City of Clear Lake now accepts electronic check payments using our online payment service. Payments will be charged to your checking or savings account at your bank. 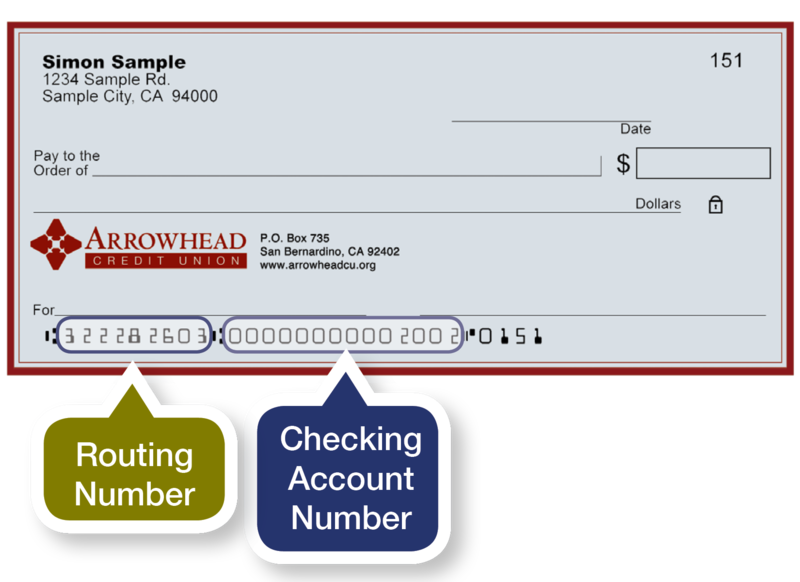 You will need your 9-digit routing number, as well as your account number from your personal checks (see example below). A per transaction service fee of $1.50 will be charged by the payment processing company for this service. IMPORTANT: When Payment Options appears, cleck on the “Switch to Pay with Check” link and then continue entering your information. City of Clear Lake offers the convenience of accepting MasterCard, Discover, American Express and Visa credit cards for utility payments, swimming pool fees, pet licenses, and rental fees. The payment processing company charges a service fee of 2.50% or $1.50 minimum to cardholders who use this service. Just stop by our office or give us a call at (605) 874-2121 to use your MasterCard, Discover Card, American Express or Visa.